Now that I met 100 foreigners and reached my goal, I thought it would be a good idea to ask myself the same questions I asked to foreigners. In fact I have learned a lot about Japan throughout my stay. After being here for 2 months and meeting so many people, my point of views about Japan really changed. Not that I didn't like it before. In fact, I love it even more. Japanese culture is very rich and sometimes difficult to understand. These interviews helped me a lot to learn about the culture. I got accustomed to Japan very fast. Every day was a new discovery and a great experience. The lifestyle in Japan is actually perfect for me. Still now I want to know more about Japan and try more food. I love the country, the people who are always so friendly, and of course the food. As you all may already know, my favorite dish is katsu-don. My strange experience (and funny) was the naked festival. It was, in fact, the funniest festival I have ever done in my life. I had so much fun that day. It just felt like a big family with all the people taking part around me. People would talk to me like I was Japanese. The naked festival is a crazy thing, but I love it. I think I have been traveling quite a lot. I've been to Belgium, Holland, Spain, Corsica, Canada, America, Morocco, Austria, Switzerland, Finland, England and of course Japan, Germany and France. But my favorite place of all is definitely Japan. Even though I love America, Germany and Corsica, there is a really special feeling that I have in Japan. That's why I want to come back and live here. Overall I would say that every Japanese city has a different atmosphere. Still I have a lot more to discover, and I'm looking forward to doing it this summer. I'd like to thank ESOT's staff members and students for the awesome experience and internship. It is by far the best internship in my life and also some of the best moments I have lived. Meeting 100 foreigners in Nagoya, No.100! It has been about 4 and a half years that Jennifer has been living in Japan. When I asked her if she was an English teacher, she said "yes" with a smile. She really loves it here, and she's thinking to stay at least a couple more years. Jennifer told me that Japanese culture is really beautiful. "They have a lovely way to combine modern and traditional", she told me. Also she thinks the system can be very tight sometimes, which has some good and bad aspects. But generally she loves it. In fact she also added that Japan is an easy country to live in. Although she had a sad experience. In a school she used to teach, one of the female teachers had to go on maternity leave. Unfortunately she had a miscarriage. When the teacher came back to school, she apologized to the others for being off for nothing. Jennifer was really surprised she apologized for that. She wanted to help her. I thought this is a sad and surprising story. Otherwise, Jennifer has been traveling a little bit. She has traveled to Hong Kong, Korea, the U.K., Canada and soon she is going to Malaysia. Still her favorite place is where she is now Japan. For the last foreigner I was interviewing I got lucky. Jennifer is indeed a very friendly person. Even though she had to catch a train, she was still okay for the interview. I appreciated it. 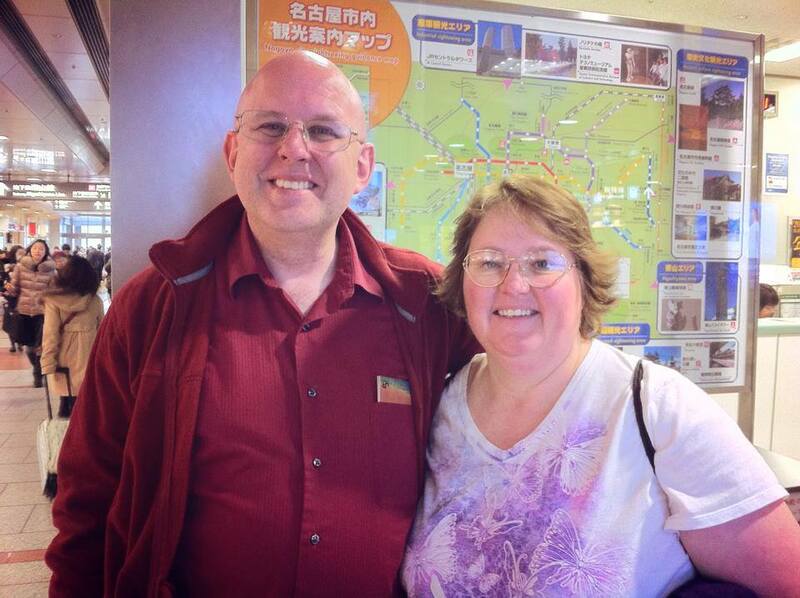 Jim and Geannine got married 5 days ago and they are now doing on their honeymoon in Japan. Jim used to live in Nagoya for 2 years, 30 years ago. But for Geannine it is her first time out of America. They are going to stay 3 more days. So far, they both love Japan! They told me it is a very friendly country. Jim especially likes the fact that people always care not to embarrass others. They were in Kyoto before coming to Nagoya. They also plan to go to Tokyo, and Disneyland! Jim told me one thing about Americans "We can be a little pushy sometimes, but we are nice people." Jim has been traveling a lot. He has visited France, Germany, Austria, Iceland, Singapore, Philippines, Mexico and Canada. His favorite place is Germany. I was so happy to hear that. He likes it because of the beautiful castles and small towns. Also he could learn a lot about the Grimm brothers, which he found very interesting. As I already said, for Geannine it is her first time to visit a foreign country and she told me that it is a very nice experience and she really likes Japan. Jim and Geannine are so friendly. They seemed so happy to be together for their honeymoon in Japan. It is the first time for me to interview people on their honey moon, but I was so happy to do it. 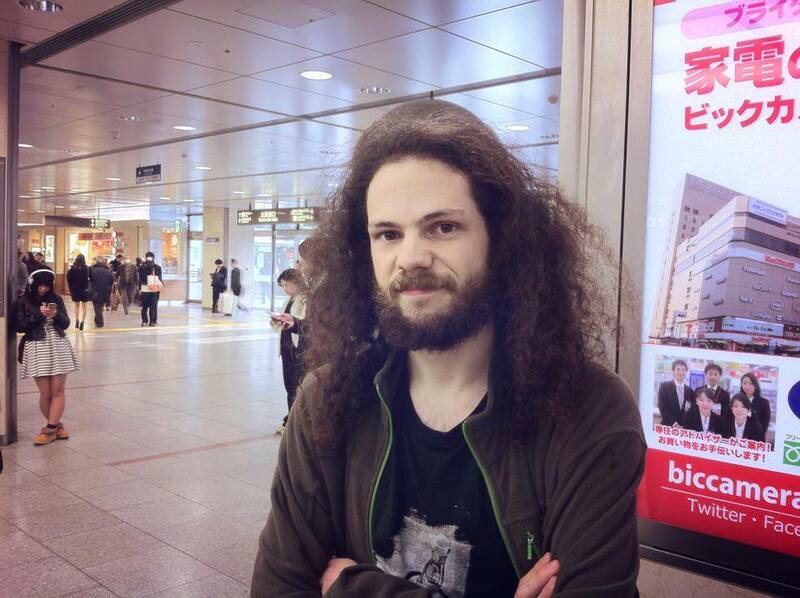 Simon has been living in Japan for 1 year. Unfortunately he is already going back to France tomorrow. Before heading back there he will make a stop in Russia. Simon told me he really loves Japan. He said that there are a lot of common points with France. 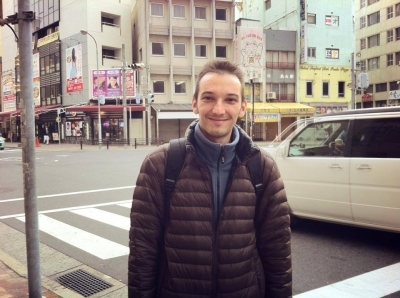 Simon went to Yakushima a couple of months ago. He told me that he liked that island, but there is not so much transportation there, so he had to fight to get around. 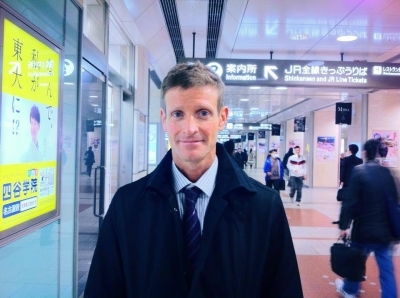 Simon has been traveling only in Europe before coming to Japan. Indeed every person in Europe has been in a lot of European countries because it is easy to travel through Europe. Simon told me "If you have a car, you can get through 5 countries in the same day." He has been to about 15 countries in Europe. Life is easier for him in France, though he really liked his Japanese trip. He also finds the language very interesting. Although he just speaks a little Japanese. Simon was someone special, in a good way though. His point of views are really different from other people I could interview. But I liked it. Simon is also a very calm person, which I also liked, it just makes the interview very cool. Eric has been living in Japan for 10 years. As I could guess, he is an English teacher. He told me Japan is very comfortable. He feels very familiar here and he likes his Japanese life. Eric dated a Japanese girl back in the U.S., so he already knew what to expect before coming here. And he never regretted coming to live in Japan. In fact he told me "It is a good place to make money." He had to say one thing about America "We don't all like hamburgers". Eric has been traveling a little. He has visited only Asian countries - Vietnam, Thailand and Korea. His favorite place to visit is Thailand. He told me the people are friendly and really like to party. Besides the food is very good and he likes the atmosphere. Eric was in a little bit of a hurry. That's why his article is quite short. Though he was always smiling and answering my questions with enthusiasm. He doesn't know how long he is going to stay in Japan. 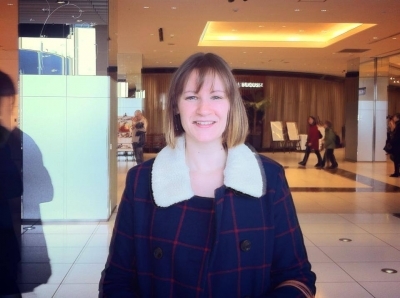 Amandine is a university student in Mie. She has been living in Japan for 6 months. Banjamin is her friend and is visiting her. It is his 1st time in Japan. He has been here for 7 days, and is going to stay 7 more days. Amandine loves Japan. She told me the culture is wonderful and the history is very rich. Banjamin also likes Japan so far. He takes it as a really serious trip to visit the temples and shrines. "This is a spiritual trip for me", he told me. Amandine told me that Japanese people are always really helpful. She said "When I arrived here I didn't speak Japanese, though I never got lost because some people would always help me." Now she speaks Japanese a little bit so it's much easier for her. Banjamin has been traveling quite a lot. He has been to China, Germany, Belgium, Spain, Sicily and Holland. His favorite places are China and Japan for their culture (and women). Amandine has also traveled a lot. She's been to Argentina, Korea, Turkey, Morroco, Uruguay and also the same countries in Europe Banjamin has been to. Her favorite place is Japan. Indeed she wants to live here and become a French teacher. Amandine and Banjamin were very interesting. I liked interviewing them. Especially the fact that Banjamin is visiting Japan for the culture. This is a nice thing I thought. Bernardo is visiting Japan for the second time. He is here on vacation. After being here for 2 weeks he is going back to Mexico in 3 days. Bernardo really likes Japan. That's why it is his favorite destination for holidays and why he came back a second time. He told me Japan is a very well-organized country and the people are very friendly, helpful and polite. Also trains and services are very efficient and easy. Bernardo's advice for people who wants to visit Mexico is as follows: "People should get to know about Mexico. There are a lot of interesting things to see such as the Mayans monuments and pyramids." Indeed Bernardo has traveled quite a lot so he knows the world well. He has been to Argentina, Brazil, Chile, the U.S., France, Germany, Spain, Singapore and Costa Rica. 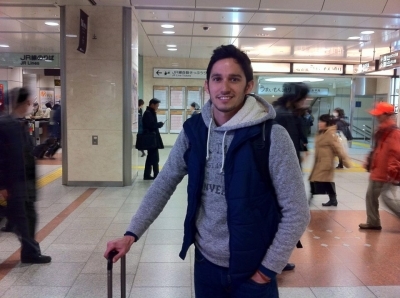 But Japan remains his favorite place because he feels safe here and he doesn't have to worry about getting lost since Japanese are very helpful. Bernardo is a very cool guy. He is very open minded and friendly. He even gave me his e-mail address in case I go to Mexico one day and need anything. I thought that this was so kind of him. I'm also going to send him this article. 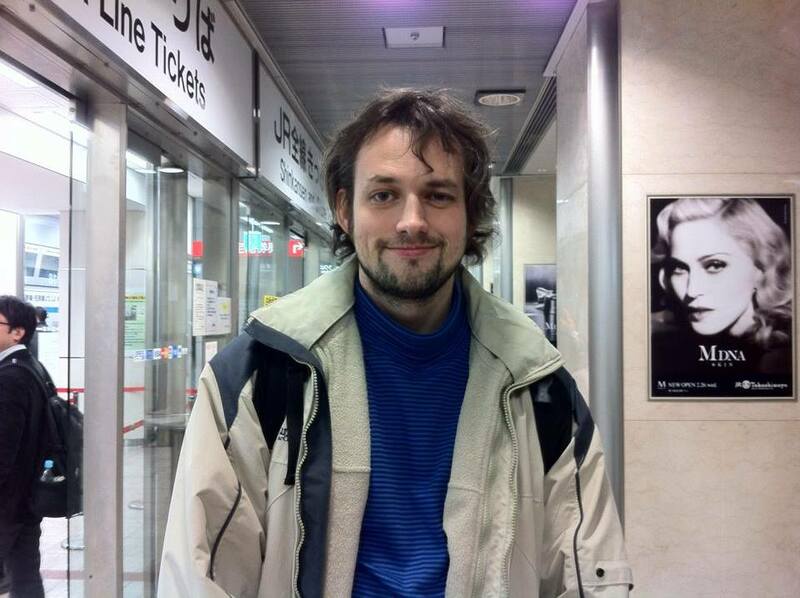 Petar arrived in Japan a couple of months ago. He is married to a Japanese woman and he has a part-time job here. Also he's studying Japanese and he goes to the International Center every Sunday. 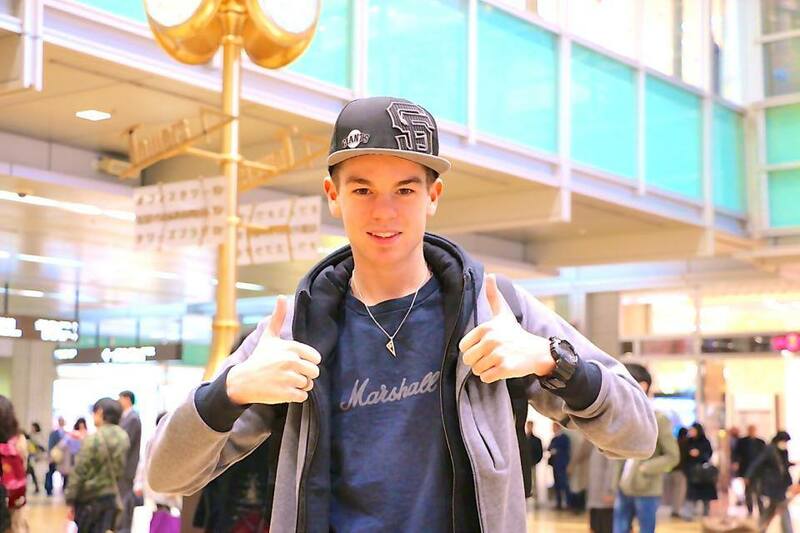 So far Petar likes Japan with what he could see. He told me that the lifestyle is complicated but very organized. Also he said that Japanese people are very polite and kind. Since I told Petar I was from Germany we started to talk a little bit about football. He doesn't know Japanese football that much yet, though Petar told me that Nagoya's new coach is from Serbia and that he just arrived last December. Petar said that Serbia and Japan are 2 different worlds. 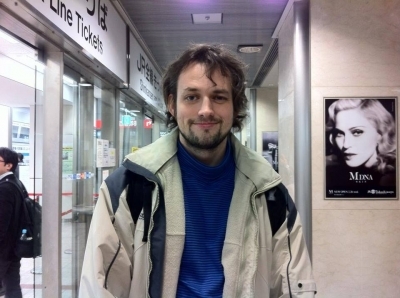 His words were "For me it feels like Serbia is on earth, and Japan is in another universe. In Japan everything is scheduled and organized. In Serbia people don't like to have a schedule". But I think he meant that in a good way. Otherwise Petar has traveled a little. He has been to Switzerland, Hungry and Montenegro. Petar used to learn German. So I was glad to hear him speaking a few words. He was also really happy to speak English with me. Because since he is in Japan he only speaks English with his wife, so it was nice for both of us. Indeed Petar is a really nice person. I had a good time interviewing him. 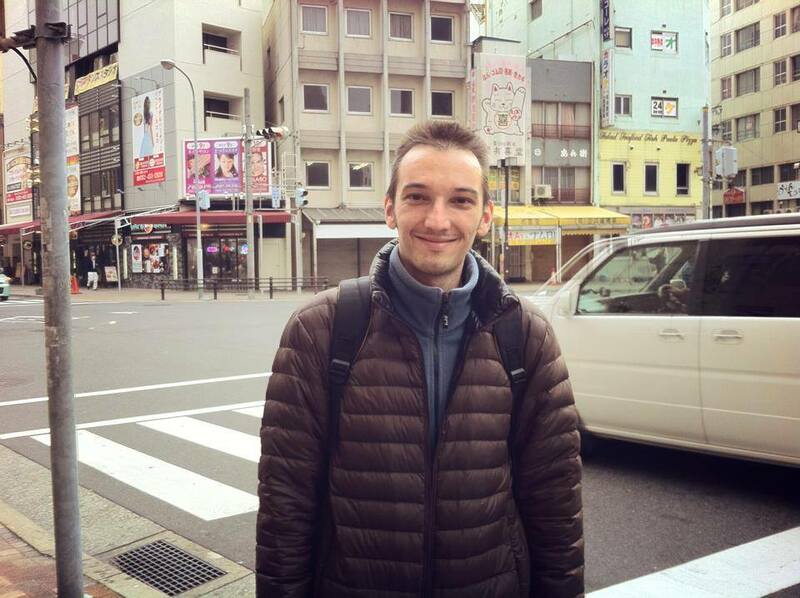 It has already been 10 years that Anton has been living in Japan. About 3 years ago he used to live in Nagoya. Nowadays he lives in Fukuoka and is working in a university as a researcher. 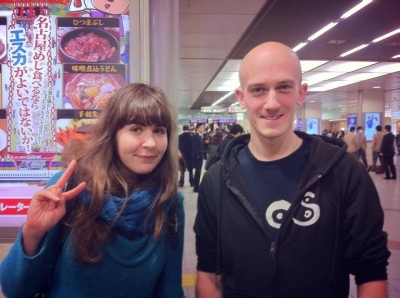 Anton told me that Japan is totally different from Russia. Even after 10 years he still hasn't completely become accustomed yet. Still he really enjoys living here. He told me that Japan is safe and the people are friendly. Anton told me that people shouldn't misunderstand about Russia and don't make stereotypes. "We're not all always drinking vodka and walking with a bear on the street", said Anton. We also talked about the Olympic games since Anton is Russian. He told me "People in Russia were worrying a lot because it takes time to prepare it and it costs a lot of money. But finally everything went well and Russia won about 30 medals and finished first". Anton was a good guy. Very friendly and smiley. He doesn't know how much longer he is going to stay in Japan but he likes his life and his job here. I was glad to hear that. Poqureru and his wife Sita have been living in Japan for 6 years. 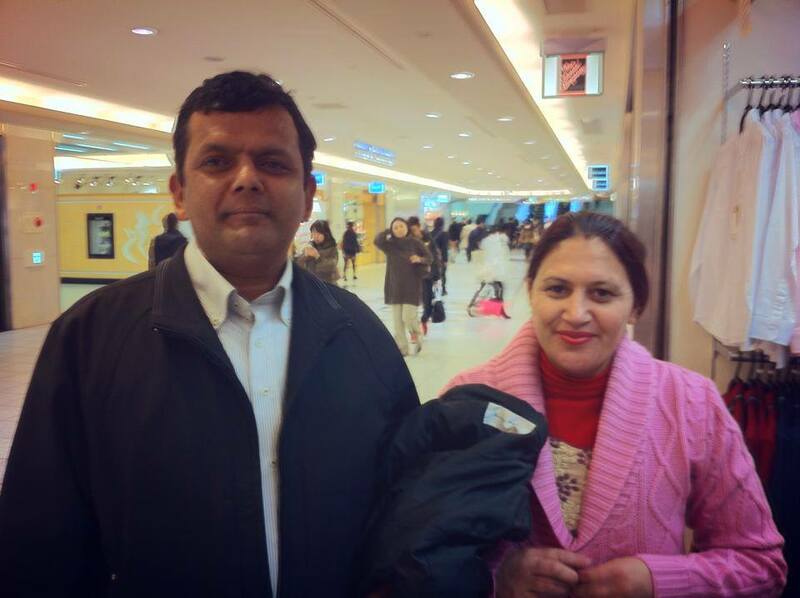 They are the owners of an Indian restaurant in Nagoya. Both think Japan is a very nice place. Indeed, there are a lot of people from Nepal in Japan. Even if they own an Indian restaurant, they really like Japanese food. Poqureru told me "The food is very good! My favorite is sushi." Also he added that working in Japan is very good and comfortable. The only thing they regret about Japan is that English is not spoken a lot. But they both speak Japanese fluently now, so that's alright for them. Besides Japan and Nepal, Poqureru and Sita have only visited Canada (or they lived there but I'm not sure). They really liked it in fact. "It is a very beautiful country, and we also have many Canadian friends", Poqureru told me. They have no favorite place. They just told me that Nepal is their native country, they like to live in Japan, and their minds are Canadian. I found that very interesting. Sita doesn't speak English at all and Poqureru just a little bit. Though I really appreciated the fact that he still really tried to communicate. It is the first time for me to interview people from Nepal, but it was a nice experience.